Replacing your roof is probably one of the most expensive projects that you’ll ever do. Besides finding the right company to do the job, you have to decide on the type of material and color for your new roof. That’s why our specialists at Roofing by Curry have come up with this two-parter series to help homeowners make this whole process as efficient and painless as possible. In this final part, we will talk about finding a color for your roof that fits the overall design style of your home. Your choice of color is more a design task than a construction one, which is why many roofing contractors are hesitant to influence your opinion. They do, however, offer a good piece of advice in finding inspiration from the homes around you. Standing out is a good idea for a home, but sticking out like a sore thumb is a different matter altogether. Take a look at the roof colors your neighbors have. You don’t necessarily have to imitate their choices, but doing this task can help you find a roof color of your own. Unless you’re a designer or an architect, you may have very little experience with choosing a roof color. If that is the case, you can rely on a few basic design principles that have helped designers with their color choice: complementing, contrasting and coordinating. Complementing and coordinating colors go hand in hand. You want to choose colors that complement each other. If you’ve ever seen a color wheel, you can find a complementary color by looking at the shade directly opposite your original color. For example, if you’re looking to complement a light yellow-colored siding, use a darker shade of blue. On the other hand, contrasting roof colors mean choosing a color that’s a direct contrast with the one you’re using. One of the stronger examples of a contrast is the use of black as a reliable contrast to white. Other ideas include contrasting light and bright colors with dark and solid ones. 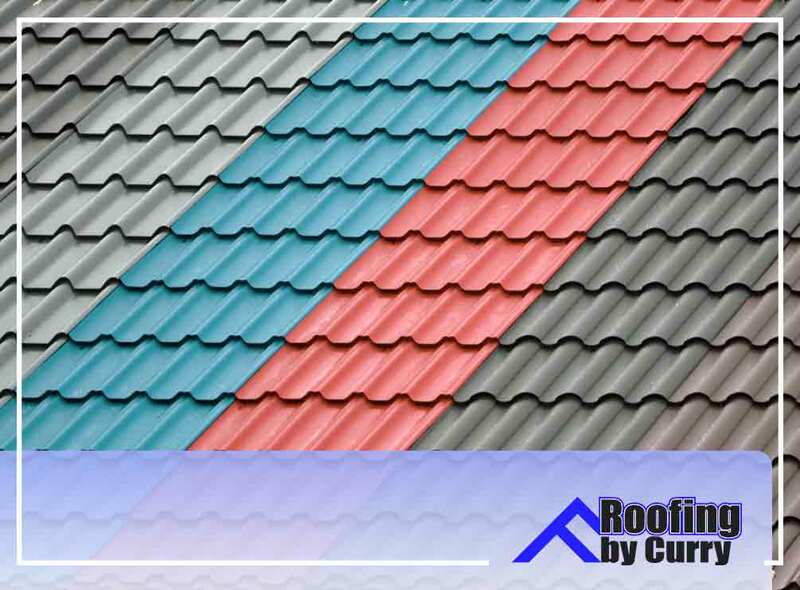 When it comes to roof repair, replacement, installation and maintenance, Roofing by Curry has all the relevant experience to help you find the right color combination for your home. Call us now at (941) 270-4770 to get your roof replacement project underway. We serve Sarasota, FL, and all nearby areas.